Title: 08/25/1987 - Presence of chromium in monocomponent photocopier toner is under investigation. This is in response to your letter of August 6, regarding the presence of chromium in monocomponent photocopier toner. Our New York Regional Office is still investigating your previous letter alleging that toner cartridges manufactured and sold by Canon U.S.A., Inc., contain chromium. Until the investigation is completed we cannot give you a final response. If our investigation indicates that the product contains hexavalent chromium and that employees covered by the standard are potentially exposed, then the toner would be subject to the requirements of the Hazard Communication Standard. 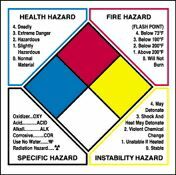 Under the Hazard Communication Standard a warning of carcinogenicity may be required on the label. In addition, the material safety data sheet would need to address the carcinogenic effects of hexavalent chromium compounds to detail. As soon as our investigation is completed we will contact you again with a full response. If you have any further questions in the interim, please feel free to contact me again. On June 3, 1987, I wrote to you regarding the presence of chromium in monocomponent photocopier toner. Since then, my client has continued to fund analyses by independent analytical laboratories to confirm the initial findings which I transmitted to you. This letter is to advise you of the outcome of that effort and to reiterate the inquiries of my earlier letter. Subsequent analyses have confirmed the presence of chromium in samples of a monocomponent photocopier toner manufactured by one of my client's competitors, and in a similar product formerly manufactured by my client. The levels of hexavalent chromium detected in these analyses vary widely, but have, in general, been considerably lower than the level presented in the initial laboratory report (copy already forwarded to you). Uncertainly as to the precise quantity of hexavalent chromium in the samples has arisen for a number of reasons, but chiefly, (i) because of the nature of the chromium substance itself, a chelate, and, (ii) because of the absence of a testing protocol that can detect with certainly all hexavalent chromium present. My client, has ceased manufacture and marketing of the chromium-containing toner, and is attempting to market a toner which does not contain chromium. Therefore, my client remains seriously interested in obtaining OSHA's advice concerning the Agency's Hazard Communication requirements. 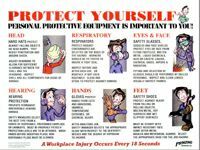 It would be most helpful to my client's planning basis if, using the attached label (Attachment 1) and MSDS (Attachment 3) as examples, you would advise specifically what information OSHA does require for a product label and MSDS for a chromium-containing toner. I do look forward to receiving your Agency's response to the foregoing issues concerning chromium, labeling, and MSDS as soon as possible. Kirk-Othmer: Encyclopedia of Chemical Technology 20 (3rd Edit., 1982) documents "Health and Safety Factors (Toxicology)" and "Toxicity and First Aid" features on salicylic acid. (pp. 508,9).